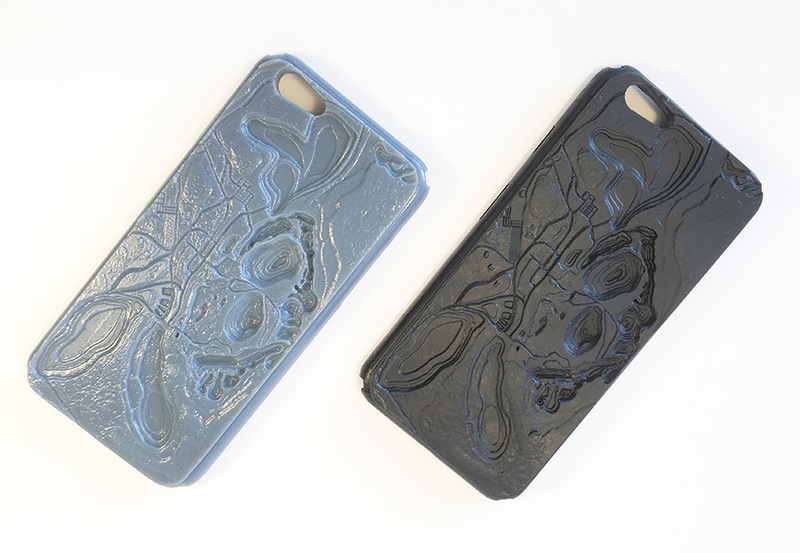 REE_minder Cases are 3D printed smartphone cases created as an artist rendering based on topology maps of the Bayan Obo Mining District, where the largest deposits of the world's Rare Earth Elements (REE) are found and sourced. Due to their unique magnetic, catalytic, and phosphorescent properties, REEs play an essential role in the creation of our consumer electronics such as smartphones and laptops. My goal was to create an intimate enclosure for our most used and disposed of consumer device, the smartphone, bringing into direct contact the smart phone with it's mineral and geological origins. In addition, my hope is to create a shift in ecosophical perspectives in media and consumer culture; to spark a dialogue between the wearer of this accessory and art object and the onlooker, thus spreading awareness of their existence, and critique of their use. Rare earth elements, although abundant in our earth's crust, are considered rare because of their concentration in most soil samples – estimated to be between 150 to 220 parts per million. As there are very few large and concentrated deposits of them, mining for REEs is a time-consuming and expensive process which creates hundreds of gallons of salty wastewater per minute, consuming huge amounts of electricity, requiring toxic materials for the refining process and occasionally unearthing dirt that is radioactive. REE_minder Phone Cases are a part of the ongoing work Conversation Pieces: REEs, which discusses media materialism during our technological evolution in the Anthropocene/Capitalocene, creating wearable art objects that serve as a spring-board for discussion.